A double minded man is unstable in all his ways (James 1:8, KJV). First, double-minded people are everywhere. There is double-mindedness in all of us. There are competing things we want that we try to make go together. And we have to begin to think differently about this. If I really want this, I’m not going to have that. I have to get off the fence and stop with the in-between. No more half-measures. I have to settle this. What do I really want? Are the kids wondering which Mom is coming home today? Is the extended family worried about how that uncle is going to act at the next family gathering? Are all the employees on edge anticipating what the office will be like when the boss arrives? Or maybe it’s you. You’re unstable, and you know it. The people around you sure know it. You’re unpredictable. You might try to hide it in public, but people close to you see it and they never know what to expect from you. The bottom line is that you want two things that can’t coexist, and it makes you unstable. Seriously, everything. The guy who is double-minded about his marriage? It’s affecting his career. The woman who’s double-minded about her finances? It’s affecting her parenting. You might protest, “I make some bad financial decisions, but I would never do anything to hurt my family!” Well, you actually are. Double-mindedness affects everything. Ending double-mindedness isn’t easy, but it’s pretty simple. You have to want to think differently. And you have to take action that reinforces your desire. Later in that same chapter of James, we read, “But be doers of the word, and not hearers only, deceiving yourselves” (James 1:22, ESV). Are you ready to put an end to double-mindedness? 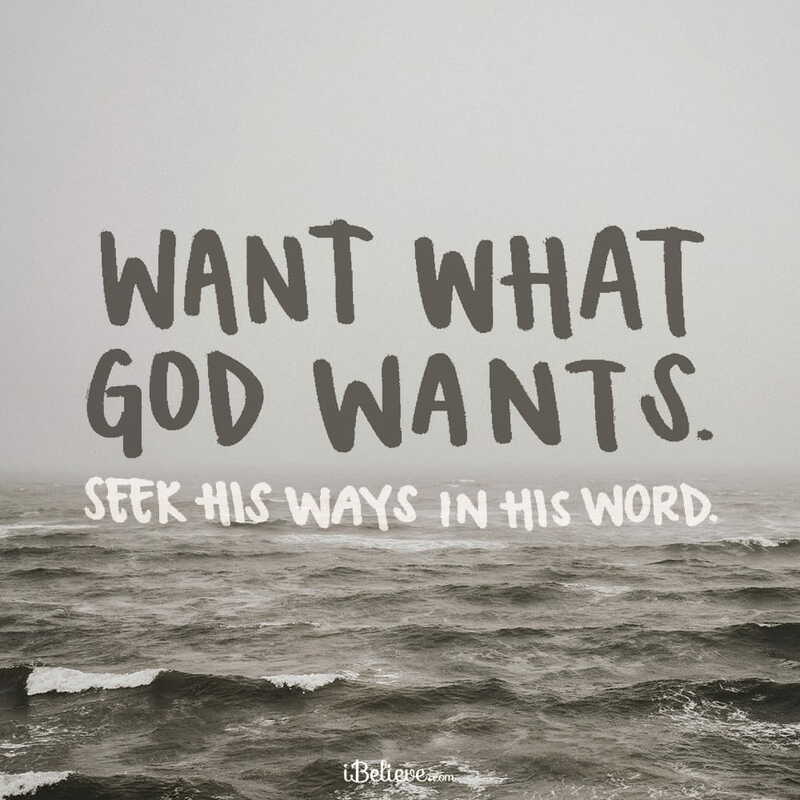 Lord God, I confess that I don’t always want what You want. Sometimes I desire one thing but act in a totally different way. I confess that my behavior can create instability in other areas of my life and hurt those around me. Thank You, Lord, for opening my eyes to my double-mindedness. Help me to think differently. By Your grace, help me to do the things that reflect Your power in my life. In Jesus’ name, Amen. Editor’s Note: Content taken from the Our Journey Online devotional, “No More Double-Mindedness,” written by Dr. James MacDonald. You can read that piece in full here. All rights reserved.